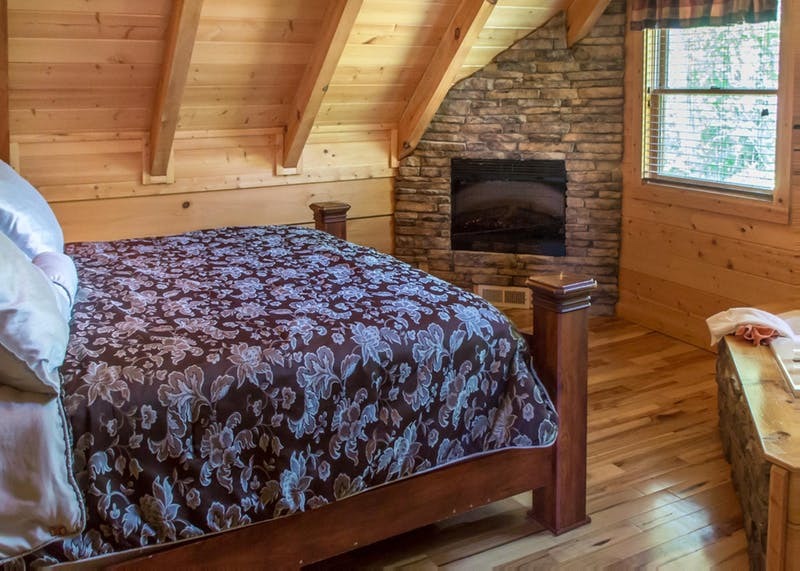 There are two master suites, both featuring king-sized beds and large, Jacuzzi tubs, as well as large, stone fire places to add to the rustic elegance. 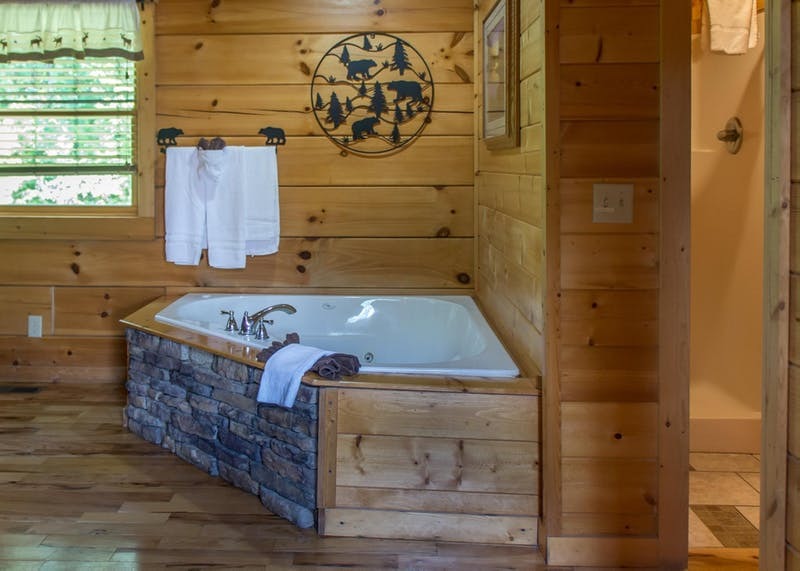 The upstairs master suite also has a private bath and access to a balcony. 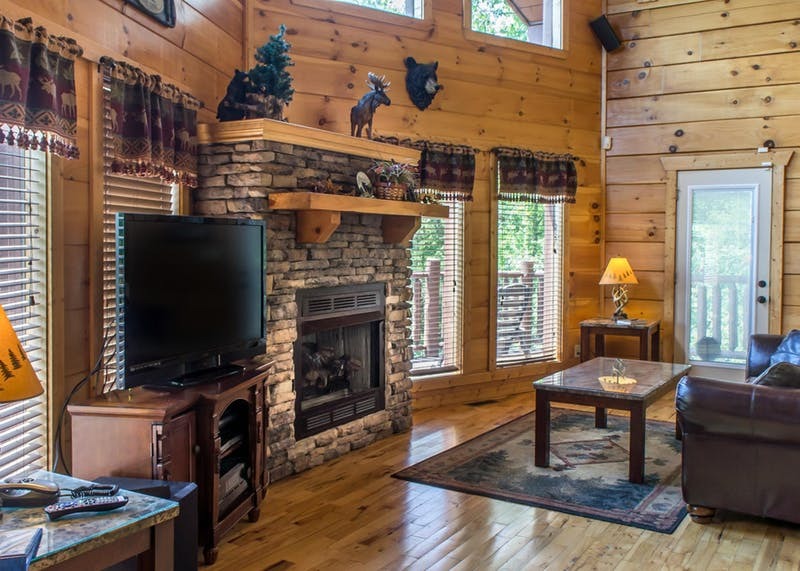 Additional sleeping quarters can be found in the great room, where guests can use the suede sleeper sofa, and also features a stone-stacked fireplace and a television, with a DVD player. 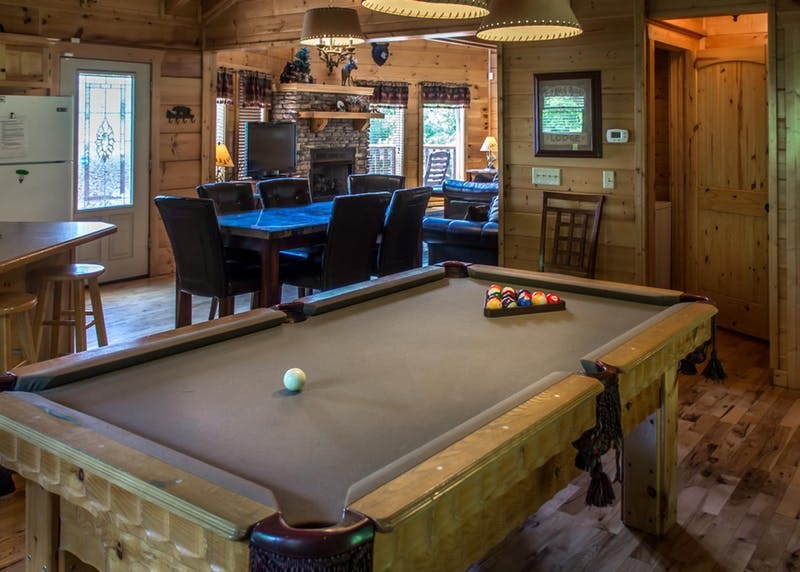 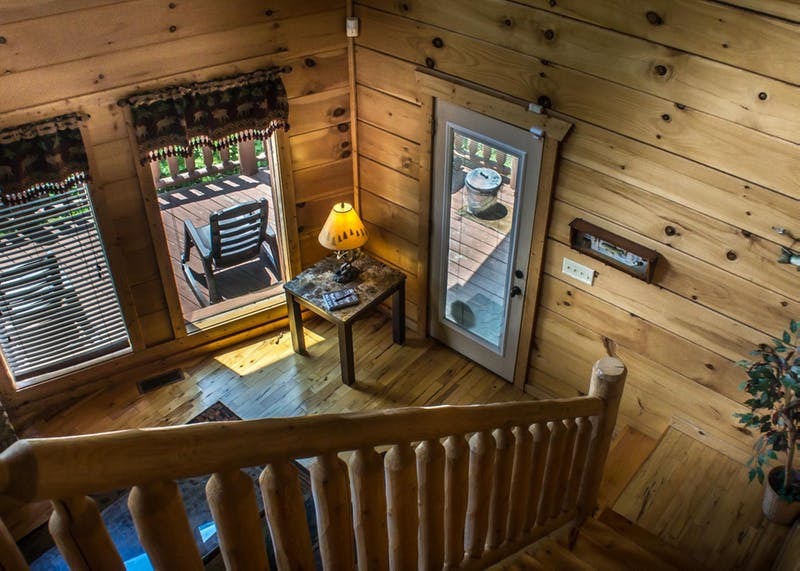 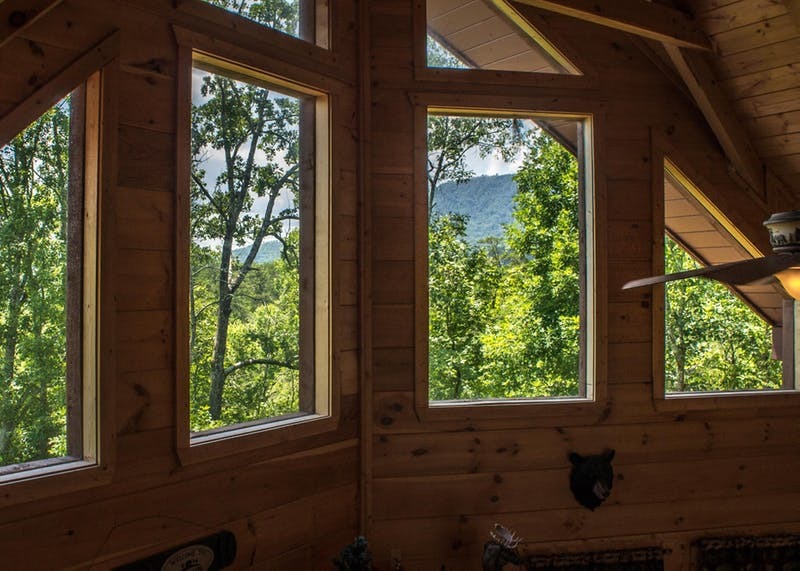 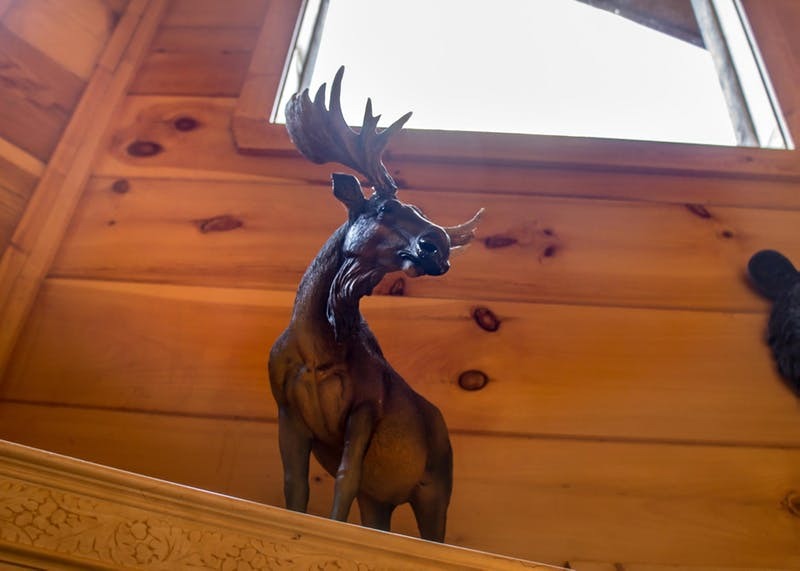 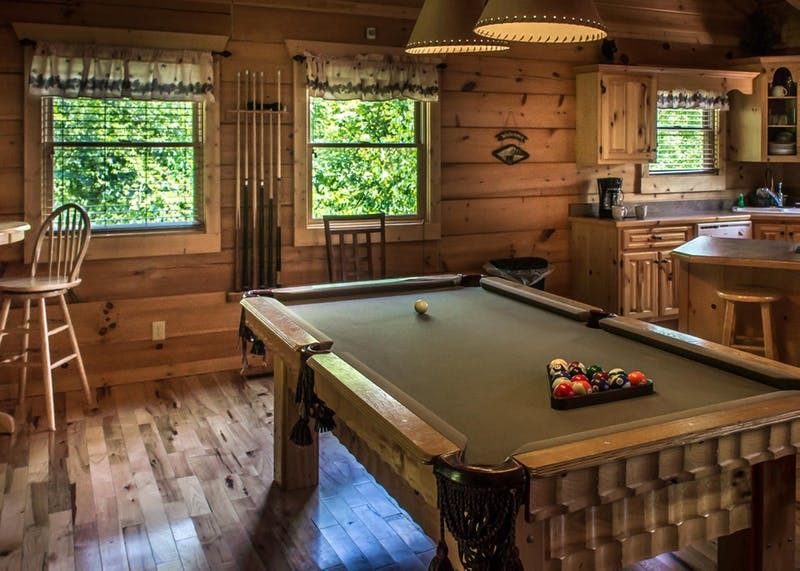 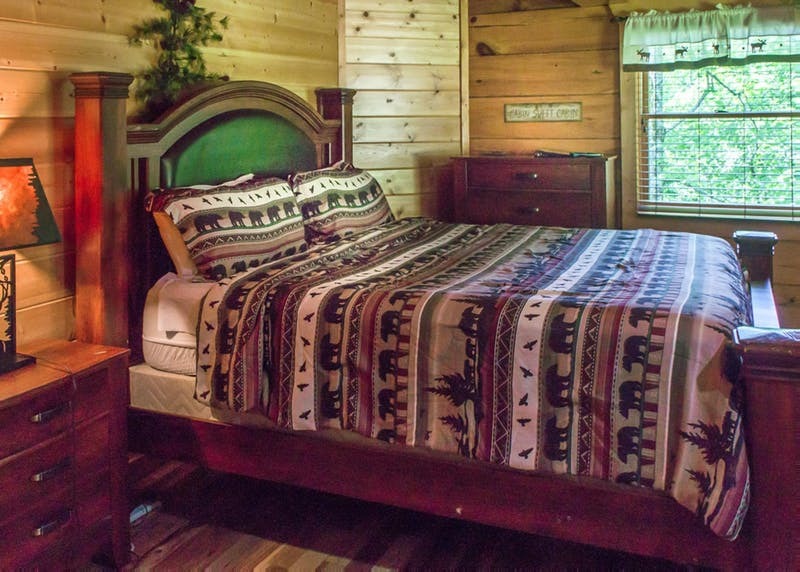 The top level of the cabin features a game room, where guests can play a game of pool, or try their luck on the vintage arcade game. 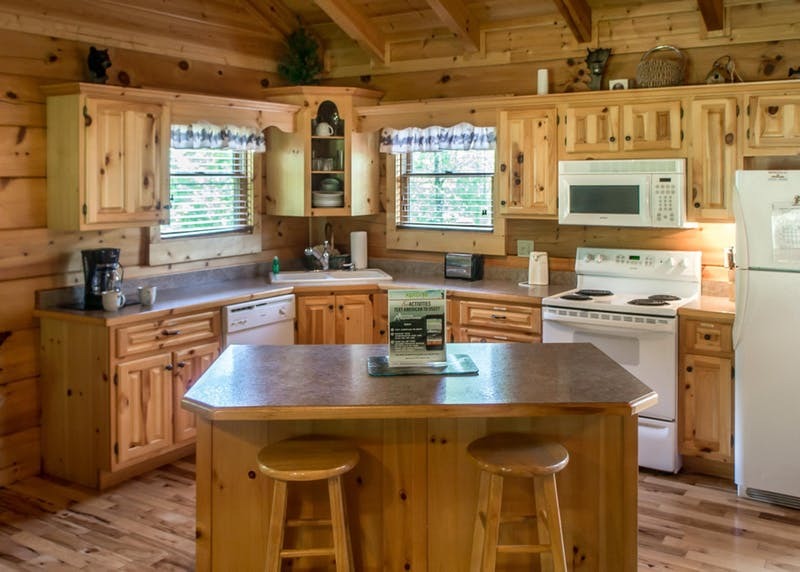 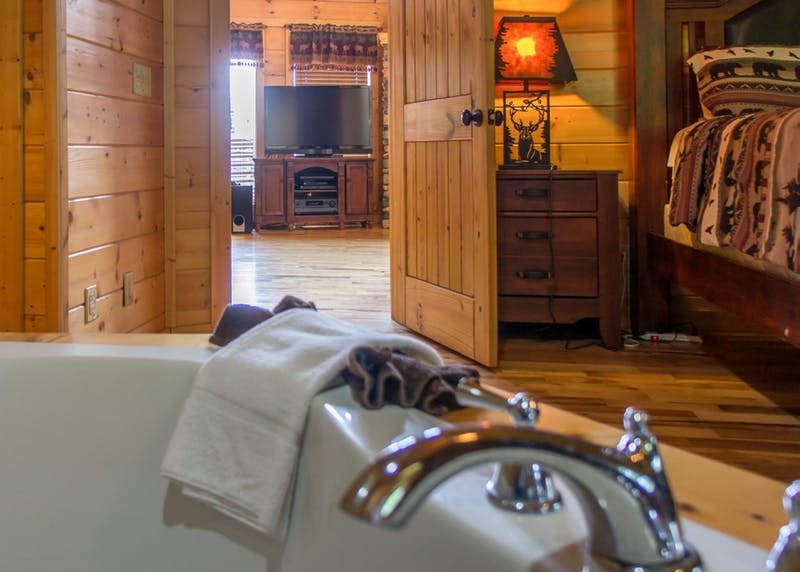 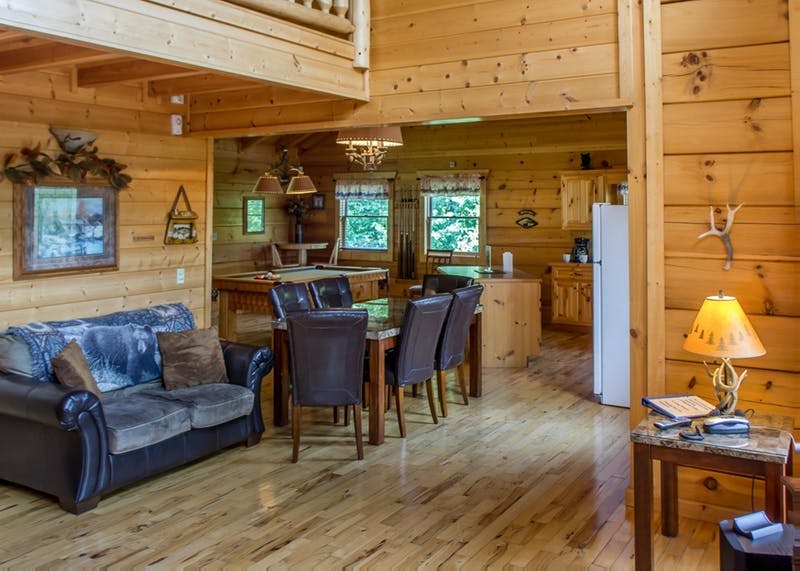 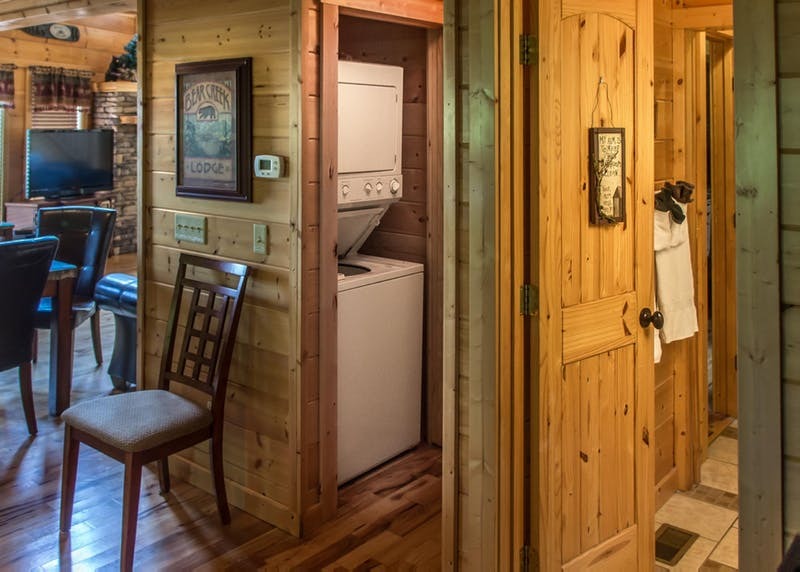 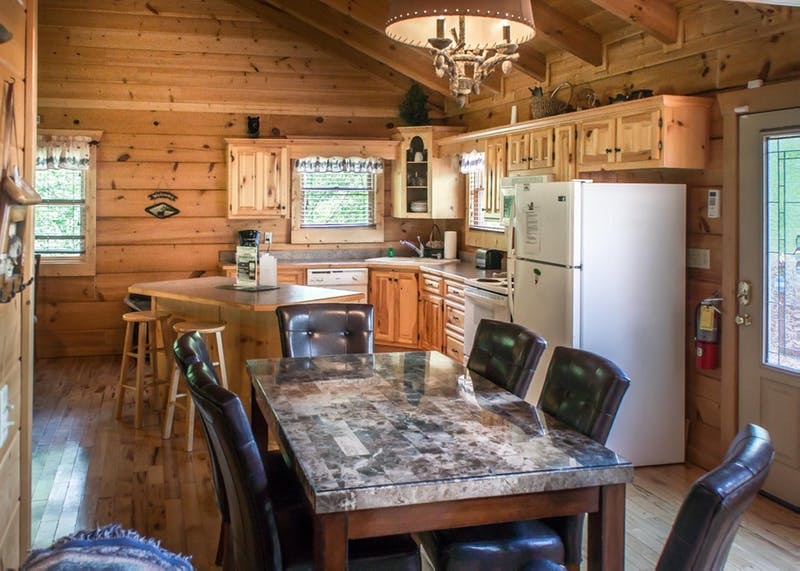 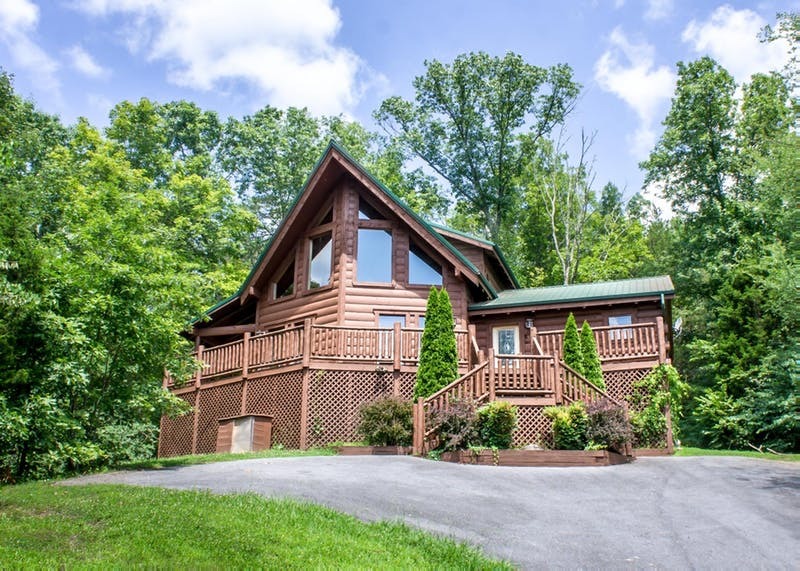 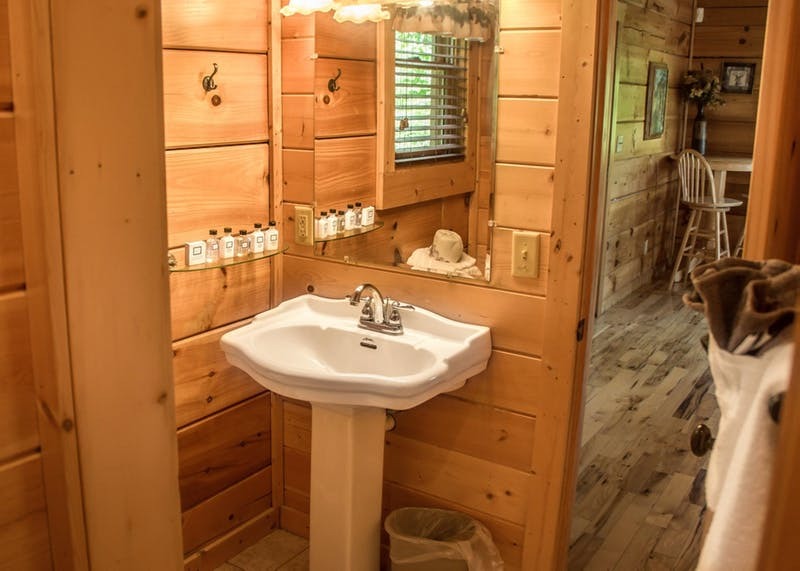 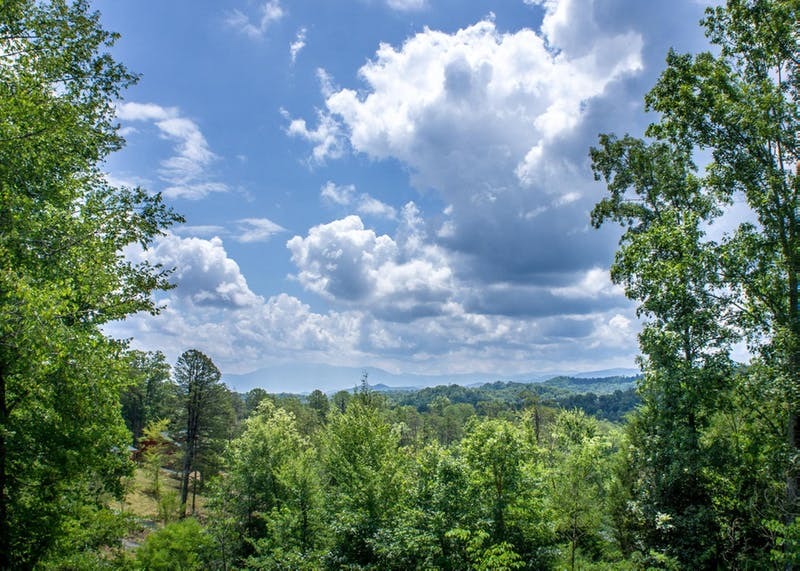 A Rocky Top Escape comes with a fully-equipped kitchen and a washer and dryer for your convenience. 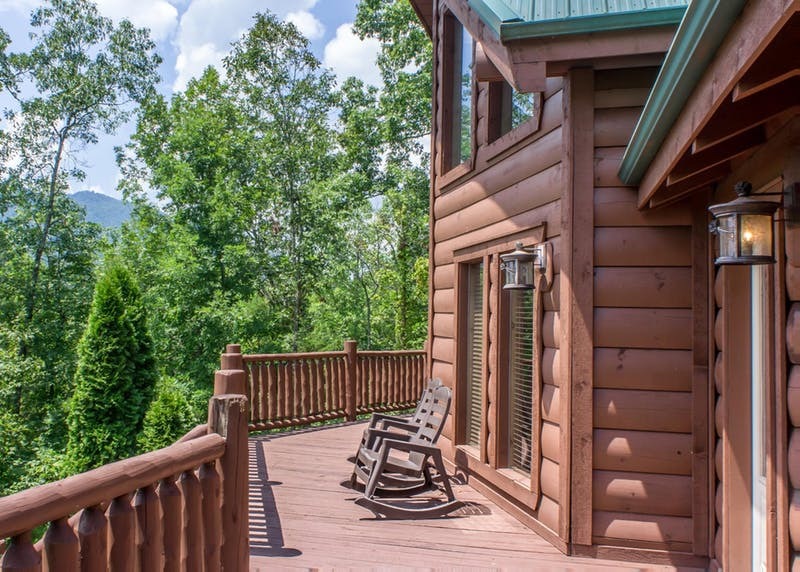 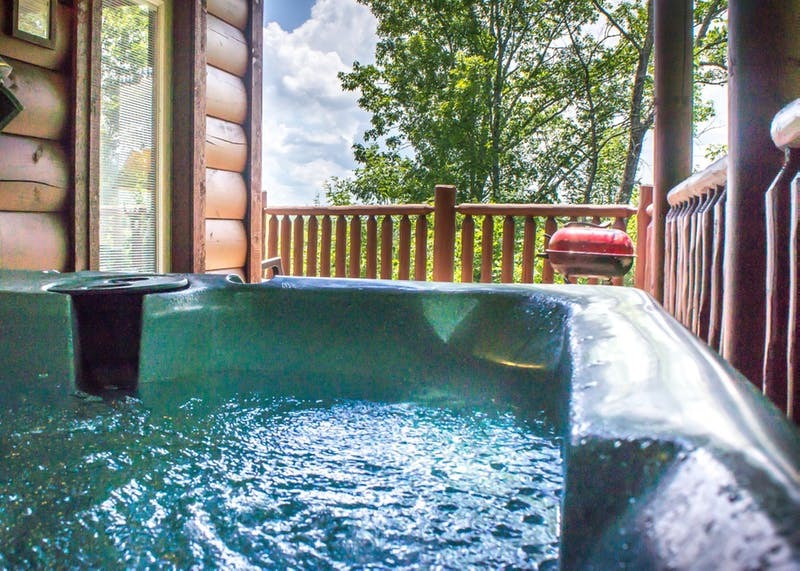 The large, wrap-around deck features a hot tub, a sauna, a charcoal grill, and plenty of rocking chairs to enjoy the mountain views. 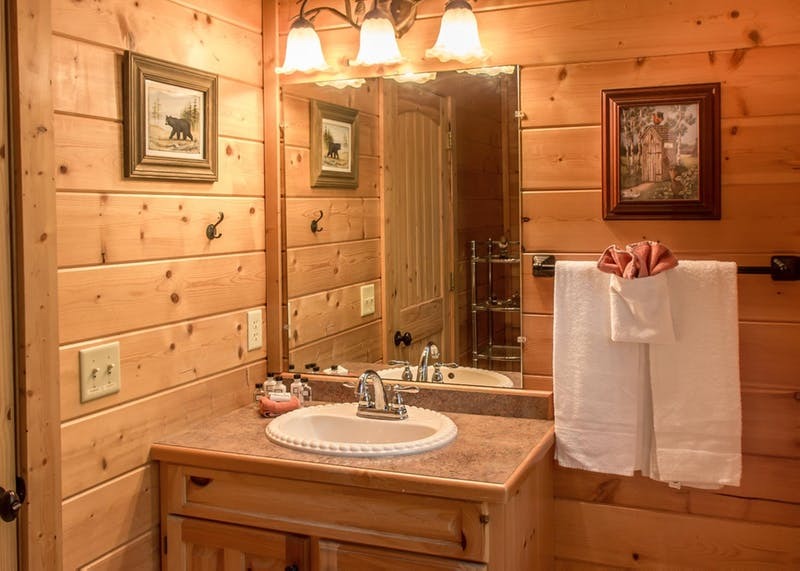 We apologize, but A Rocky Top Escape does not accommodate pets and does not have Wi-Fi.